Our NGQ20 ice maker produces 22kg of thimble shaped ice in each 24 hour period and has a bin capacity of 9kg which equates to approximately 300 ice cubes. This compact and efficient machine is suitable for outlets with low useage or where space is restricted. Our NGQ40 ice maker produces 38kg of thimble shaped ice in each 24 hour period and has a bin capacity of 12kg which equates to approximately 600 ice cubes. This durable and reliable machine is suitable for outlets with medium useage. Our Q60 ice maker produces 55kg of thimble shaped ice in each 24 hour period and has a bin capacity of 30kg which equates to approximately 1000 ice cubes. 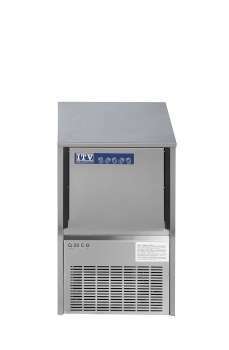 This medium duty machine is suitable for busy outlets. Our NGQ90 ice maker produces 75kg of thimble shaped ice in each 24 hour period and has a bin capacity of 37kg which equates to approximately 1220 ice cubes. 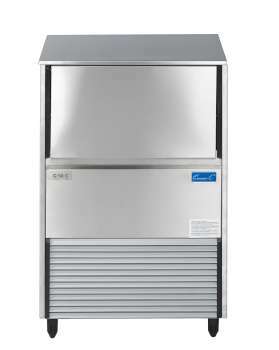 This medium duty machine is suitable for busy outlets with a constant demand for ice. Our Q130 ice maker produces 122kg of thimble shaped ice in each 24 hour period and has a bin capacity of 50kg which equates to approximately 1700 ice cubes. 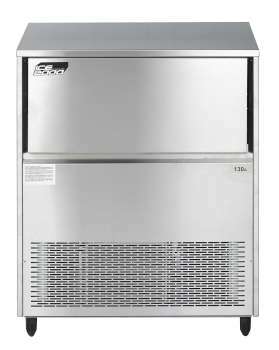 This heavy duty machine is suitable for extremely busy outlets with a constant demand for ice. 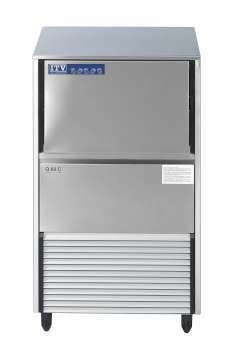 Our Q150 ice maker produces 135kg of thimble shaped ice in each 24 hour period and has a bin capacity of 100kg which equates to approximately 1930 ice cubes. 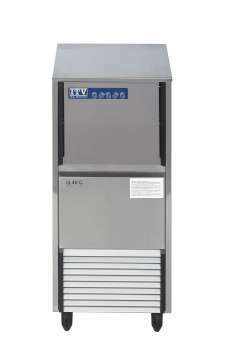 This heavy duty machine is suitable for extremely busy outlets with a constant demand for ice.